Hot shot trucking is allowing freelance drivers the opportunity to make big income in this multi-billion dollar industry. Hot shot trucking can be very rewarding and the type of lifestyle that many men and women look for. While a typical trucking job may be too demanding, hot shot trucking brings more freedom and often big rewards for your efforts. Hot shot trucking just might be your gateway onto that path. Hot Shot Trucking, also known as Less Than Truck Load (LTL), is a part of the industry that has essentially been created for free lance drivers. In this instance, a driver would be using a smaller than normal trailer and semi truck. In trucking, the term hotshot usually refers to either the truck or the freight. In most cases, it refers to both. Normally, a Class 3-5 truck is used in combination with a variety of trailers to run for-hire freight, whether for a single customer or less-than-truckload, but there are exceptions. 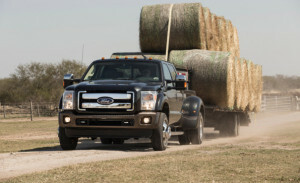 The truck will likely be one of the big three U.S. auto manufacturers’ three-quarter- to one-and-a-half-ton cab-and-chassis rigs or pickups outfitted for weight-distributing gooseneck- or fifth-wheel-type connections to a trailer. For a truck to be considered a “hot shot” it usually must be at least a 3 quarter ton diesel and have a license to transport up to 36,000 pounds. A Hot Shot Trucker will be able to transport large quantities of goods and products without signing a long term obligation contract. To get into this area of the trucking industry, your best bet is to first call your local DMV and check out the process and licenses needed to transport freight as a freelancer. As drivers retire and the U.S. economy grows, the need for hot shot truck drivers will increase for years to come. There are many different laws that determine weight limitations and hauling limitations. After you get your CDL license, your next step is to find a hauling company that is able to hire independent drivers. A quick internet search for your area should do the trick! These companies will have all the information that you need and can answer your questions about whether or not you need your own equipment as well as when and where your services will be needed. Be sure to check out our free CDL practice test and our free CDL manual. 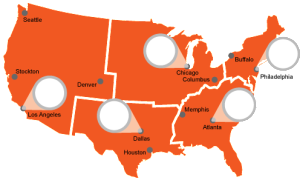 Uship is just one example platform that is helping hot shot drivers from around the country earn loads. With the truck driver shortage and trucking industry growth, hot shot trucking has been in demand and rewarding. And with diesel prices falling, revenues are at near record highs. With the boom of the dot com era and haul boards everywhere online, there’s always hot shot trucking jobs around. Being a freelance truck driver can pay big, I know several making upward of $100K a year or more in the hot shot trucking sector. When you include the freedom aspect and the big paychecks, hot shot trucking is quite promising. Take U Ship for example. This company is the perfect playground for hot shot truck drivers. While hot shot loads can range from vehicles to 30 foot mascots, people across the country pay great to have their items shipped to their destinations. U Ship is not limited to the United States, the company has hauls all around the world. For those of you that are outside the United States, you also have the same opportunities as hot shot drivers in the United States. U Ship is not the only hot shot trucking job board. There’s literally thousands of hot shot jobs all around the world. Take the time to do a little research on Google. There’s a wide range of load boards for truck drivers. You’ll see why so many truck drivers are leaving their post to become hot shot truck drivers. 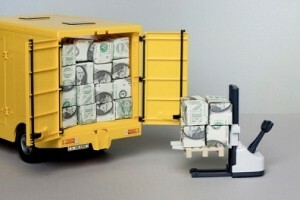 The money alone is more then enough to consider entering the hot shot trucking niche. DAT is one of the most affordable load boards and with over 30 years experience, they are a company that can be trusted. 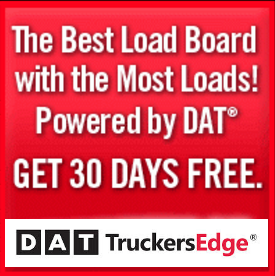 Truckersedge and DAT are another great option for loads. DAT has been helping drivers find loads and hauls for decades. And at a starting fee of only $34.95 a month, to have access to thousands of loads is a safe investment that will pay for itself your first load. You do want load boards that are reputable and that can be trusted, DAT is that and more. They average around 80 million loads a year, a platform you must get to know. Learn how you can profit from joining Truckersedge. Hot shot truck drivers can earn a lot of money per year with the potential of earning $100K or more. Some men and women are not cut out for 11 hour shifts a day. Some don’t like being on a schedule. These are two main reasons why drivers prefer hot shot trucking. Some men and women can’t travel far from home. The main reason why men and women flock to hot shot trucking is earnings and no commitment. Hot shot truck drivers can pick up a haul, work for a few hours and make a big paycheck. If you can find the right load, just one trip can cover your monthly expenses. Some companies provide a truck for you, while others will require that you own your own diesel truck. Just be aware that companies that provide a truck for you will usually take a higher percentage of your driving fee. You will also need to look into purchasing insurance for your truck. Insurance for a one ton or any truck that you drive is not cheap. There’s other factors like your driving record and credit that factor in what you’ll pay. 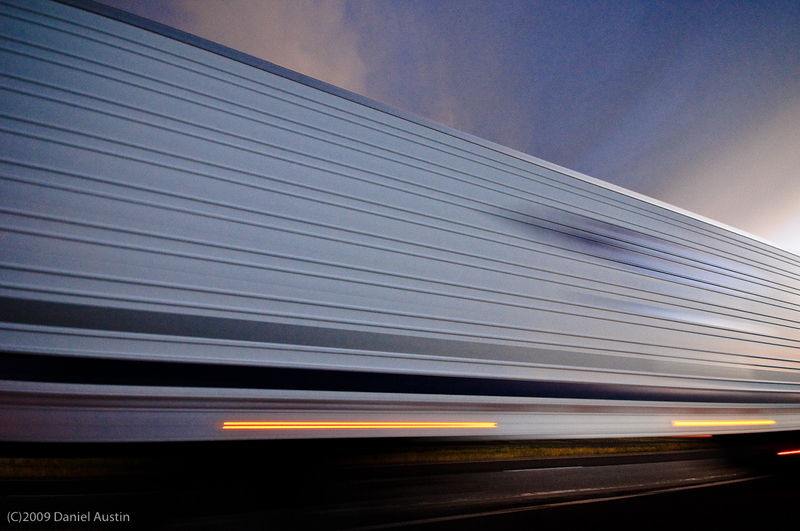 The quantity and quality of your freight will determine the type and cost of your insurance. Overall, Hot Shot Trucking is a great way to work your way into the trucking industry. Working as a freelancer, you’ll have more say in the way that your schedule is created and you won’t have to sign any long term contracts. Essentially, you are your own boss. Any way you go about it, being a hot shot truck driver can be very rewarding. If you’re lucky, hopefully you can find some hauls close to home. If you’re single, traveling may be good for you. I know it’s a tough decision for anyone with a wife and kids at home. This is one of the main reason why men and women don’t have a career as a truck driver. If you can handle the time away though, hot shot trucking can be very beneficial. There’s pros and cons in hot shot trucking just like anywhere else. 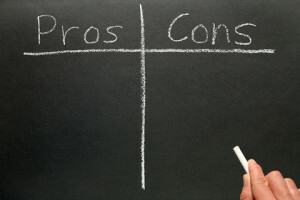 You need to determine if the pros outweigh the cons. We’ve discussed several positive aspects of hot shot trucking and only briefly touched on the cons of hot shot trucking. Becoming a hot shot truck driver is no easy task. Below, you’ll find a list of our hot shot trucking pros and cons. How Much Does Hot Shot Truck Drivers Make? Let’s talk about hot shot trucking pay for a moment. We get asked this question a lot, “how much do hot shot truck drivers get paid?” Honestly, there’s really no right answer because the amount of money you make depends on what you’re willing to do as a hot shot truck driver. Here’s what will determine your pay as a hot shot trucker. How many load boards have you joined? How many loads are you bidding on? What’s your availability to run with loads? Do you have the proper equipment to carry various load types? All of these questions factor in to what you’ll make as a hot shot operator. Here’s the key element I want you to remember, you have a high earning potential as a hot shot artist. I know drivers making $10,000 a year working a few hours out of the month and I know a few drivers making $200,000 easily. If you put the time in, join some great load boards, you can make a lot of money hot shot trucking. But that’s up to you. If I can give you a tip, make sure you get a good one ton. If you can afford to finance it, do so. You’ll likely get a few years of loads before you have any major issues, if you do at all. Without a truck, you don’t make anything. If the truck isn’t moving, you don’t make money. Invest in a good load board, well worth the investment. Again, we recommend DAT, one of the best load boards out there. Join the DAT community for access to truck loads. For what you pay per month, you’ll make your investment back in 10 miles. Hot shot trucking can vary in just terminology alone. Some hot shot truck drivers may or may not be contracted by a company. Hot shot trucking can represent a freelance truck driver. While companies are always needing items and products shipped to their destinations, so does regular people all across the world. This has helped the hot shot trucking sector grow and expand to be a global economy and provide an income to thousands of hot shot drivers. No matter if you choose to become a hot shot truck driver, choose to be a company driver or decide to become an owner operator, the trucking industry controls around 70 percent of all hauling. There’s pros and cons in trucking, just like with any job you choose. Trucking is a multi-billion dollar industry and that equals a lot of opportunity, hot shot trucking or any other type of driving for the industry. Our professional staff of veteran truck drivers is here to help. If you have a question about hot shot trucking or trucking in general, leave a comment below or contact us via email. We’re always here to help. We love hearing what you have to say, so feel free to weigh in. Follow Truckers Logic on Facebook! Really enjoyed this article and the blog. Not many trucker blogs out there so this was definitely cool. I’ll be sure to review your other websites also. Thanks again!